Statistics Canada has released Industrial Research and Development: Intentions report summarizing R&D spending in Canada to 2013. The results echo the declining R&D investment trend reported in the Science, Technology, and Innovation Council 2012 State of the Nation report on Canada’s Science, Technology, and Innovation System report that has Canada falling from 16th of 41 countries in 2006, to 17th in 2008, and 23rd in 2011 in terms of gross domestic expenditure on R&D as a share of GDP. The Statistics Canada report results show industrial R&D in 2013 is anticipated to be down 2.8% from 2012 at $15.6B and remaining below the pre-recession peak of $16.8B in 2007. 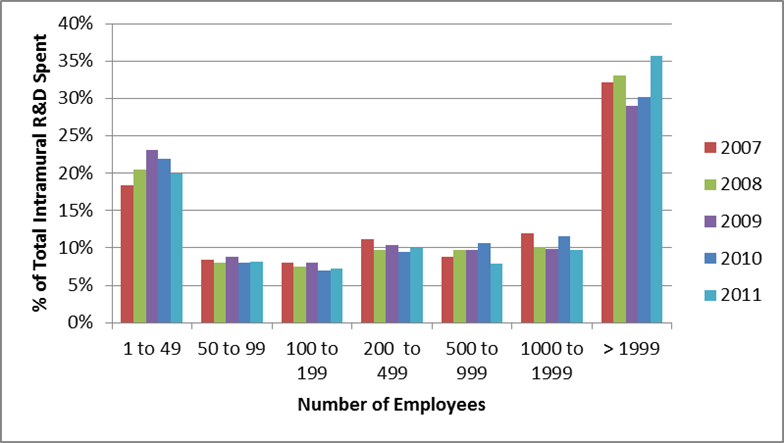 These charts illustrate the % and amount of R&D (intramural R&D) spent by firm size (# employees) for 2007 to 2011 across all sectors from the Statistics Canada report. 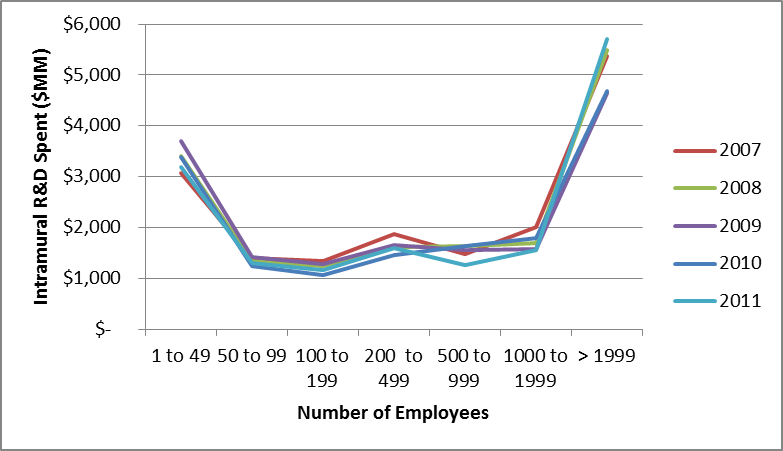 Unfortunately the number of firms performing R&D by size was not provided to adjust these charts for this data set however the 2012 small business statistics reported that small businesses with 1-99 employees make up 98.2% of all firms, medium firms with 100-499 employees make up 1.6% of all firms, and large firms with greater than 500 employees make up 1.6% of all firms. 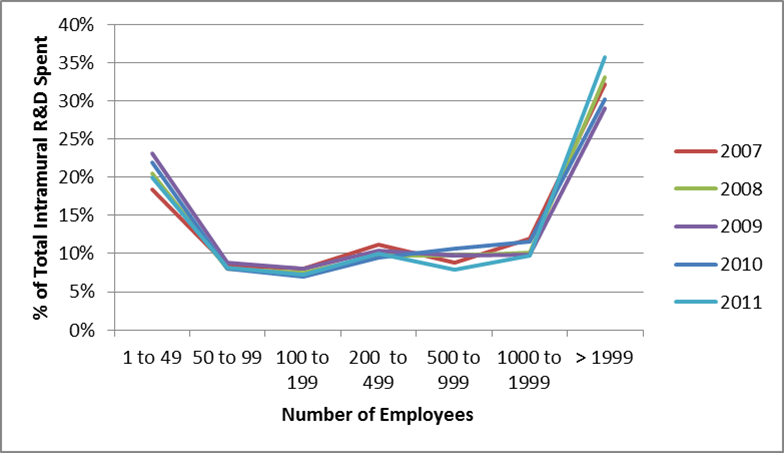 This entry was posted in Growth, Innovation on October 18, 2013 by Andrew Reif.